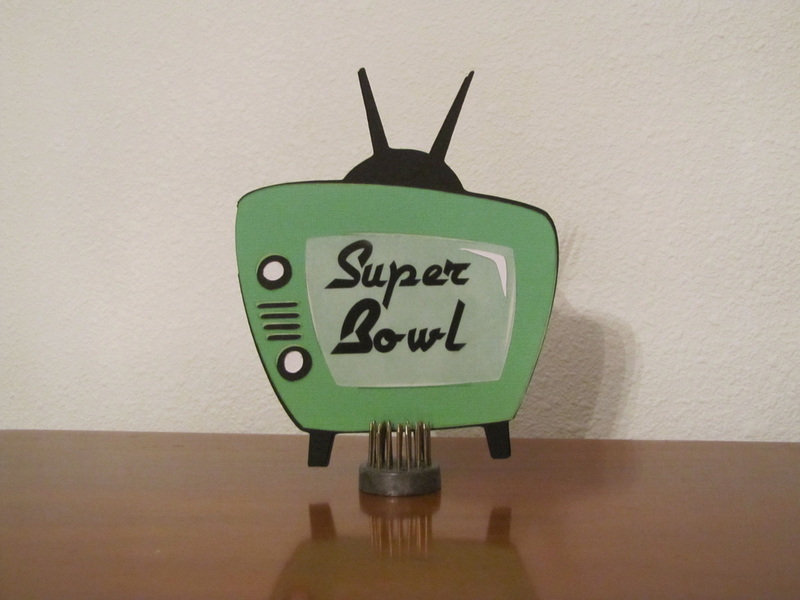 This nostalgic tv is the perfect invite for the Super Bowl. The inside is blank for you to personalize your invitation. The outside of the card measures 4 1/2 X 5 1/2. The inside measures 4 1/4 X 3 1/4. Envelopes included. Click here to purchase. 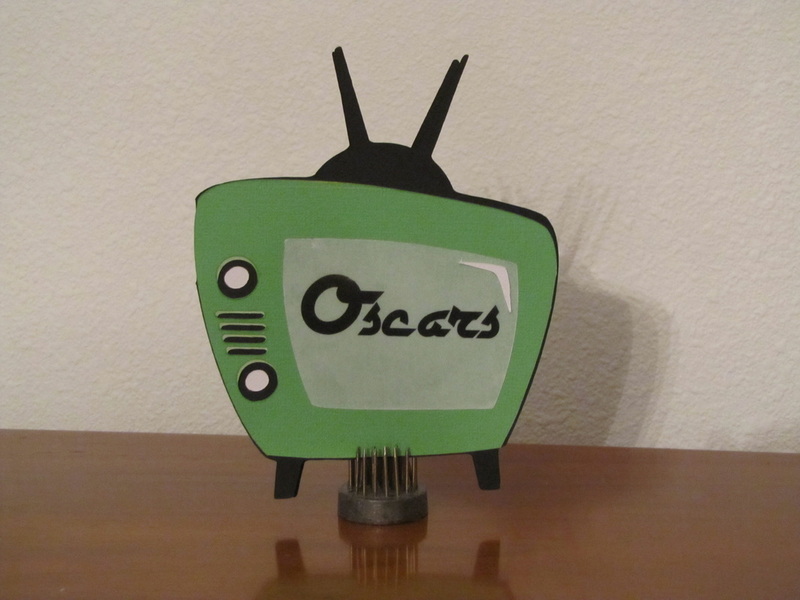 This nostalgic tv invites your friends to an Oscar's viewing party. The inside is blank for you to personalize your invitation. The outside of the card measures 4 1/2 X 5 1/2. The inside measures 4 1/4 X 3 1/4. 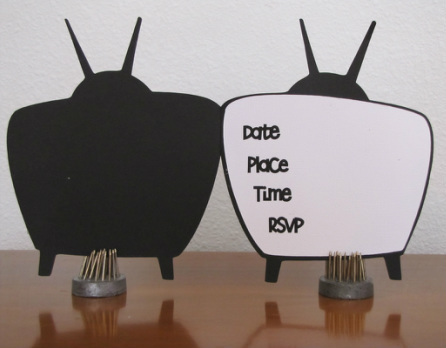 This handmade roller skate invitation can be customized for your party. Please fill out the Roller Skate Invitation Form and I will create a sample invitation for your approval. The invitations are made out of kraft paper, with silver eyelets and a shoe lace. They are 6 X 7 and they come with 6 X 9 envelopes. 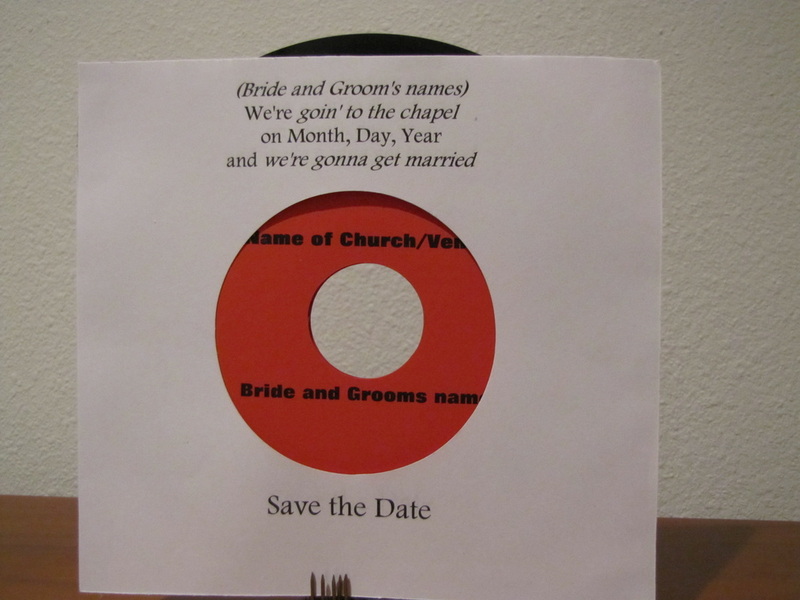 This save-the-date invitation let's people know you're goin' to the chapel and you're gonna get married. 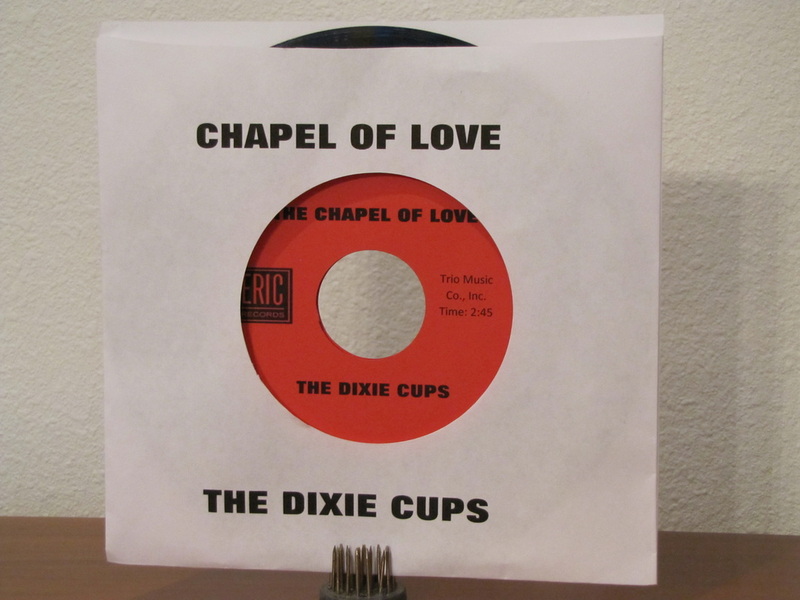 The front of the invitation gives the title of the song and artist. On the back of the invitation it gives the bride and grooms name and the date of the wedding. This can be customized. Listen to the song here For purchase information click here. This is the invitation I made for the triplet's Fab Four Birthday Party. This is the front side of the record invitation. This can be custom printed for your party. This is the blank Invitation. 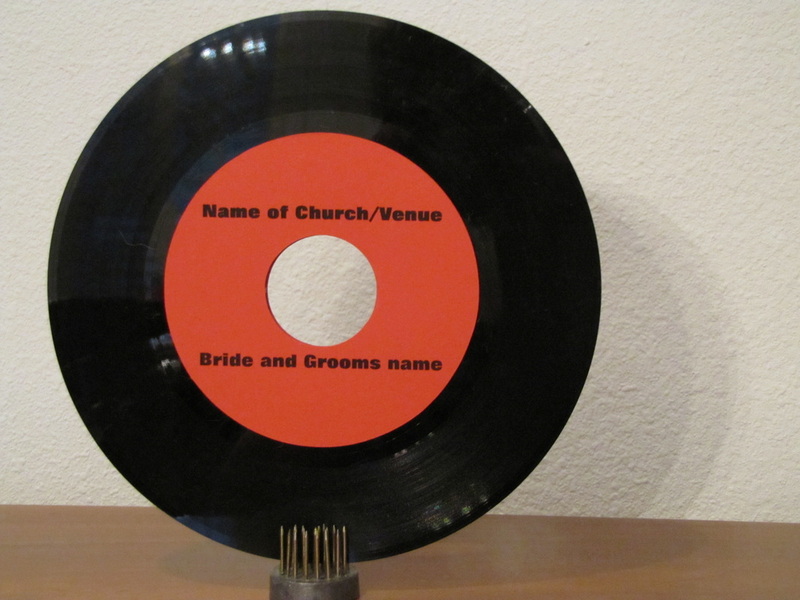 The front can have the name of a band/recording artist or name of your party. The back of the invitation can give specific information about the party. 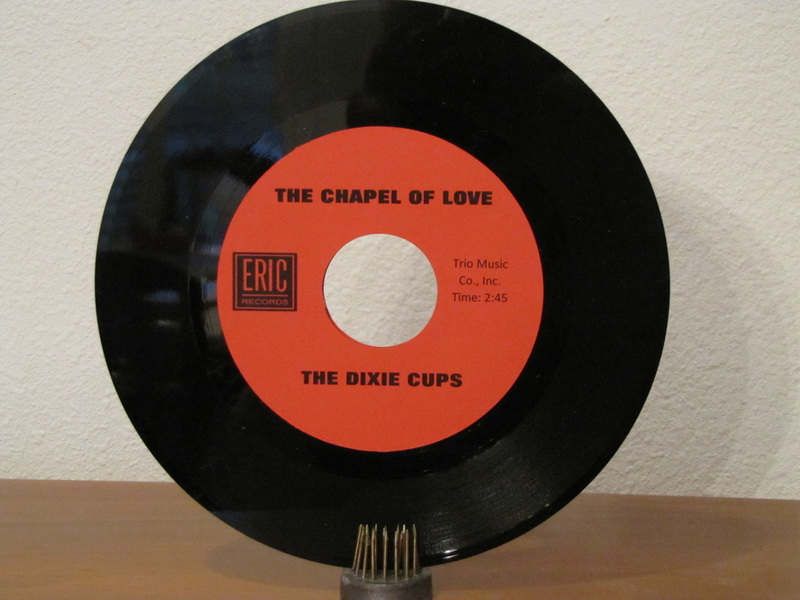 The 45 records in the holder will each be different.